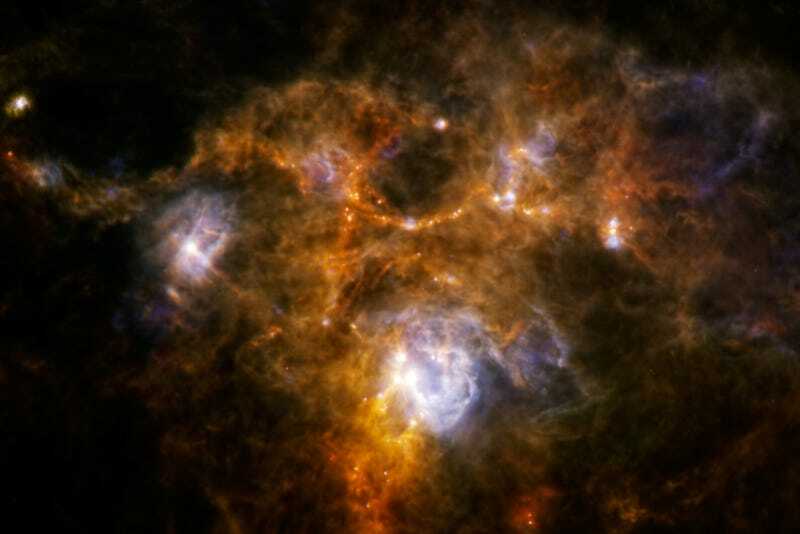 The Herschel Space Observatory managed to get a picture of a cosmic ring in the huge cloud of gas and dust called NGC 7538. Normally, rings like this are caused by the winds of O-type stars or by their supernovae. But there's no O-type star remnant at the center of this ring. Did a star blow this bubble and then move on, before Herschel got its picture?